Neymar left Barcelona for Paris Saint-Germain 12 months ago in a bid to move out of Lionel Messi's shadow and confirm his status as one of the world's best players, but the Brazilian may have to share the mantle of talisman with teenage prodigy Kylian Mbappe this season. 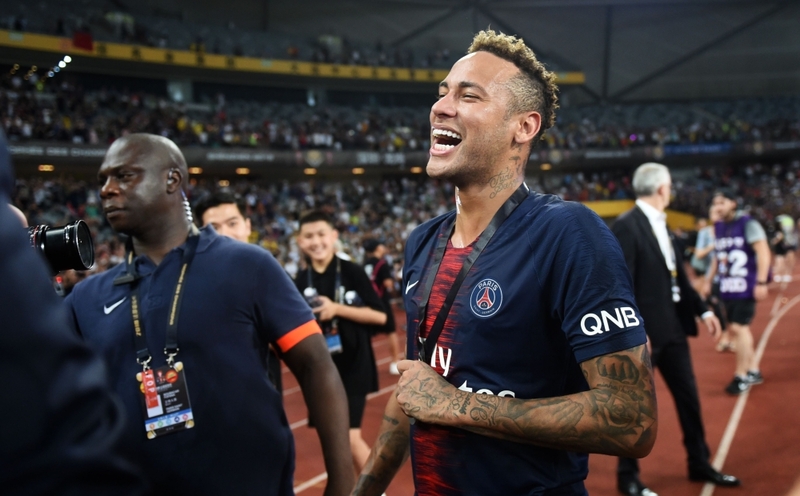 The world's most expensive player has been the subject of consistent speculation linking him with a move away from France, with reports usually suggesting he will sign for Real Madrid, but he insists that he's not done with PSG yet. "Yes, I will stay in Paris. I have a contract with PSG. The speculation? The majority of it is invented by the press," Neymar told ESPN Brasil last month. Mbappe, on the other hand, was named as the tournament's best young player after scoring four goals -- including two in a scintillating individual performance against Argentina - to help France lift the trophy. New arrival Gianluigi Buffon believes that Mbappe can follow in Pele's footsteps by becoming an all-time great, having played against his then-Monaco team in the 2017 Champions League semi-finals for Juventus. "When I spoke (after the match) with (Juve centre-back) Andrea Barzagli, who is one of my great friends, he told me 'Gigi, in 20 years of my career I have rarely seen a player run so fast with the ball, I had a hard time stopping him'," the 40-year-old Buffon told PSG's club magazine. "These words are not insignificant because Barzagli, when he is focused and fit, is really a top defender. "It's obvious (Mbappe) has something more than others. I hope he will remain humble and keep this desire to progress and make sacrifices. "If so, he will make a mark in the history of football and write incredible pages of the sport." Further accolades seem sure to follow in the coming years for Mbappe, who was named on the 10-man shortlist for FIFA's 'Best Player' award for 2018, with Neymar conspicuous in his absence. But new coach Thomas Tuchel said when he took over from Unai Emery in May that he was "not afraid at all of stars", adding that "in his experience they are the hardest workers". A second straight league title should be little more than a formality, but PSG will need their big guns on the same page and firing if they're to finally lift the European crown.